This is one of my all time favourite movie quotes. It’s so full of truth, wisdom and cynicism at the same time that I want to cry and then laugh and then cry again. The movie this quote comes from, as most of you know, is Devil’s Advocate (1997), starring the titans Al Paccino and Keanu Reeves accompanied by the gorgeous Charlize Theron. The film tells the story of Kevin Lomax, a young and ambitious attorney from Gainsville, Florida, who’s never lost a case. One day, he receives a job offer from the world’s most powerful law firm, based in New York and owned by the mysterious and charming John Milton. Kevin grabs the opportunity and together with his wife Mary Ann, leaves for the Big Apple to pursue his dream. However, success has its high price and in Kevin’s case, this is his soul, which he sells piece by piece for money and power. The movie is so powerful not just because of the great story it tells but also because of the magnificent performances Al Paccino, Keanu Reeves, Charlize Theron and the rest of the cast give. They’ve put their souls in the project which makes it so real and influential. 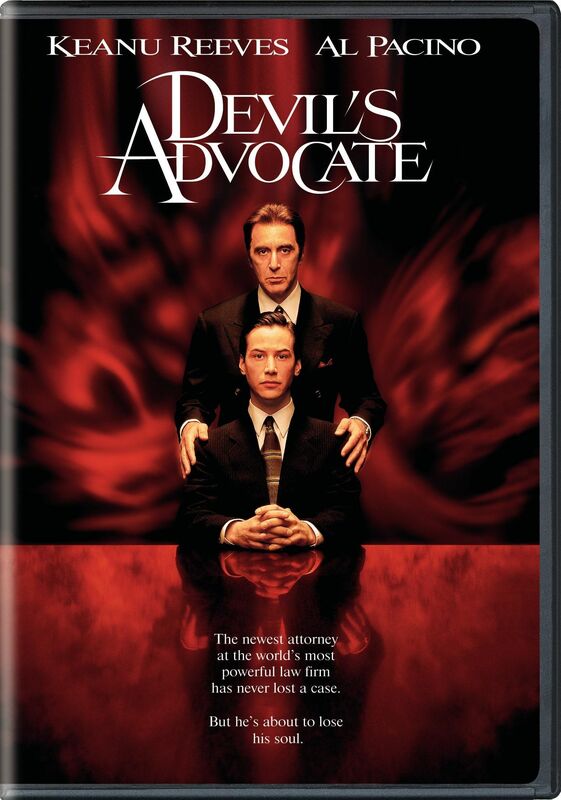 For me, Devil’s Advocate is an allegory of the biblical story of Adam and Eve and how they’ve been tempted by the serpent to taste the forbidden fruit. 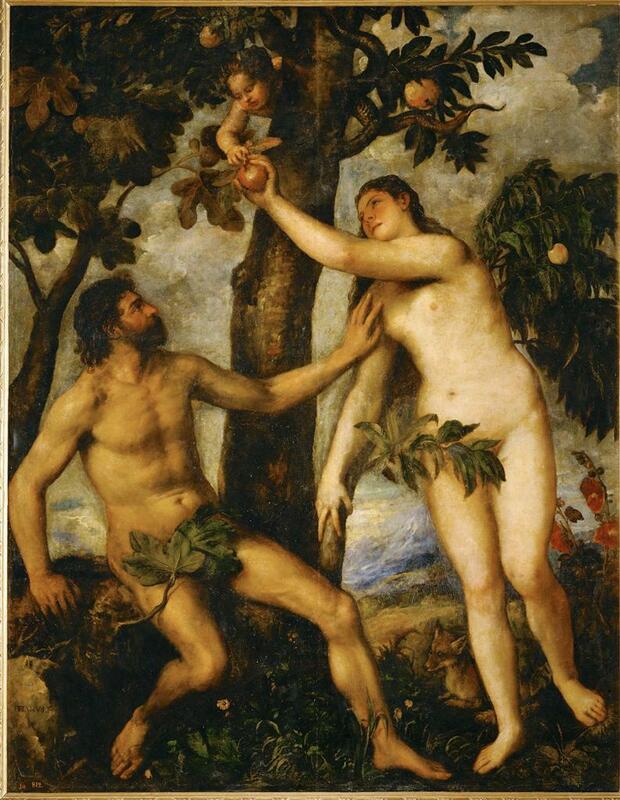 In the movie, the serpent (John Milton) persuades Eve (Mary Ann) to tempt Adam (Kevin) to taste the fruit of success, no matter the price. Mary Ann does that, she is a big influence over her husband in the beginning of the story because she stimulates his ego. She erases all moral boundaries he has and throws him in a world, where she believes they both should belong. Kevin himself has issues with his vanity, never accepting he ever might lose a case, which makes him an easy target for the devilish tricks of John Milton. However, as everything should be free will, John gives Kevin the opportunity to take all decisions himself. He always shows him two paths- the right and the wrong, manipulating him to take the wrong way but never closing the door to the right way. 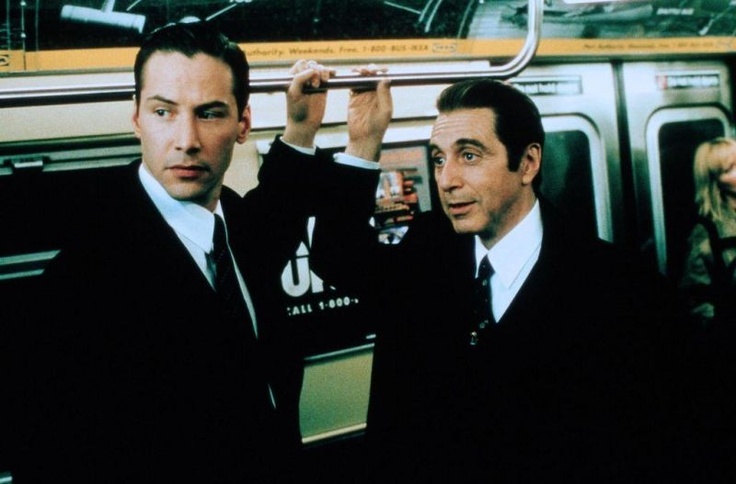 Devil’s Advocate is an incredible movie, which shows us how we’re losing our souls every day. It teaches us to let go of vanity, which is the core of all sins and makes us think over the matter of success. What is it? How do we define it? What price have we paid for it? The world we live in is our own doing and what happens to us is too. Devil’s Advocate makes us take a deep, real look inside ourselves and ask, “Can I bear to look at myself in the mirror, and if I do, will I see a monster?